BROKEN SKIES by Theresa Kay has been RELAUNCHED! 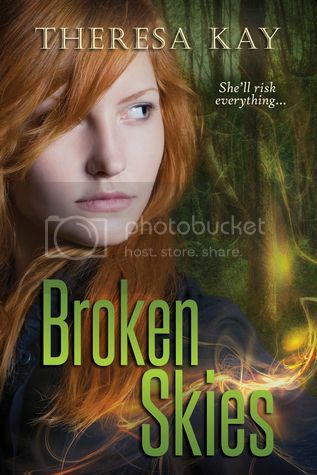 BROKEN SKIES is the first novel in a young adult science fiction trilogy by Theresa Kay. Perfect for fans of Angelfall by Susan Ee and the Lux series by Jennifer L. Armentrout, it tells the story of seventeen-year-old Jasmine “Jax” Mitchell, an impulsive and traumatized girl whose fierce loyalty to her kidnapped twin brother drives her to rescue him at any cost even if it means employing the help of a teenaged alien boy with questionable motives. Want to know about what happened when BROKEN SKIES got picked up by a publisher? Check out Theresa’s reaction here! Jax, who cannot stand to be touched, finds that she’s drawn to the alien boy with bright green hair and jewel-like scales down his back. And he’s equally affected by her, the courageous redhead with haunted eyes. But she doesn’t know the alien’s true motives and he has no idea that she is much more than she seems. In this world where alien and human are at odds, the connection forming between the two has consequences. What started off as a rescue mission sets a chain of events in motion which threatens not only the remaining humans and the growing alien society, but Earth itself. And Available NOW on your Kindle! Add BROKEN SKIES to your TBR pile on Goodreads! Author Bio: The only person she knows who had a subscription to Writer's Digest at eleven and was always excited to write research papers, Theresa has been putting words to paper since a young age. 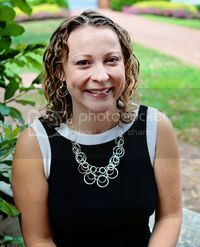 Living in the mountains of central Virginia with her husband and two kids, she works as a paralegal by day, binges on Netflix at night and finds bits of time in between reading almost everything she can get her hands on and laundry to craft stories that tend to feature broken characters in sci-fi or paranormal worlds, with a touch of romance thrown in for good measure. She's constantly lost in one fictional universe or another and is a self-proclaimed “fangirl” who loves being sucked in to new books or TV shows. Theresa originally wanted to write horror novels as an ode to her childhood passion for Stephen King, but between her internal Muse’s ramblings and the constant praise for her sci-fi pieces from her writer’s group – The Rebel Writers – she knew she should stick with what was working. Subscribe to Theresa Kay's mailing list for exclusive content, ARCs, giveaways and more!